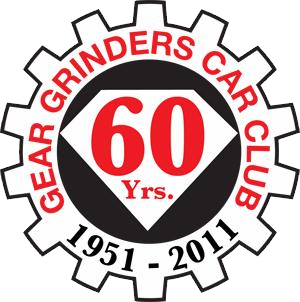 The Gear Grinders are a "Not For Profit" Organization. Several times a year the club sponsors a program to help our communities in one way or another. A portion of the proceeds from our annual AutoRama Car Show held at the Alamo Dome each year are put back in to our communities in a number of different ways.In the past we have held huge Toy Drives at Christmas time for underprivileged children. We have also donated toys to the Children's Hospital in San Antonio. When we have a function that is catered, we try and use organizations that are also Not For Profit so that we benefit two organizations at the same time, by helping them and helping ourselves. The Gear Grinders believe that we should not only enjoy life but should also contribute back to our communities so that others can also enjoy. We were able to help the Flores family who are taking care of their six grandchildren, Delcia, Zaqin, Aiden, Hilianau, Jonalin & Tabitha, have a very Merry Christmas! The Gear Grinders were privileged to be able to participate in the annual Blue Santa Visit and donate a big bunch of toys to under privileged kiddos. Thanks to the New Braunfels ROTC group which collected and wrapped the presents under the direction of Gear Grinder John Medrano, we were able to help make Christmas time a lot happier for those children. Thanks to Delton & Hazel Scholwinski for the great pictures. We purchased a large screen TV for the Ronald McDonald house in San Antonio.